The WordPress community is continually bubbling with creativity, innovations, news, and updates, from the latest and greatest theme to a fabulous new plugin that is revolutionizing SEO. In 2016 alone so far, we’ve seen the release of WordPress 4.5 "Coleman" and learned from WordPress is used by 59.4% of all the websites whose content management system we know. This is 26.4% of all websites. Over the next several weeks, we're going to examine some of these current WordPress "hot topics" more closely and answer some of your burning questions. We'll also include some of our own WordPress experts' opinions and advice. What better topic than this one could we start with, uh? Page builders, also known as Drag and Drop theme builders, are an interesting topic within the WordPress community (as well as in others) because you either love them or hate them. There's no room left in between; users and professionals, like web developers or web designers, don't even agree whether these tools are more useful or a threat to them. So let's start diving in and look at what's good in these page builders that makes them appealing. For the average website owner who has little to no programming knowledge, drag and drop website building plugins are a godsend. It's that straightforward, but you'll see in a while it's not gold all that glitters. In the image below of the Visual composer menu, you can see how easy it is to drag or drop any row or page element in order to rearrange them. You can also duplicate any row or element. When you’ve finally created a great design, you can save it as a template. There's plenty of elements you can choose to add to your page, just click on "add element" and, right from here, you can add a multitude of different page features, such as text boxes, headings, social sharing, images and galleries, toggles and tabs, and more. Themes are also coming with drag and drop functionality. With many drag and drop WordPress theme (see the image as an example) you can simply drag and drop components into your page and rearrange everything to create a terrific completely customizable landing page. With customizable plugins and themes, the average website owner can modify and edit almost all of their website elements with just a few clicks. Not only does this simplify the task of running and maintaining a website, but it makes the entire process more enjoyable. There are plenty of options for website owners today, with plugins like Visual Composer, Beaver Builder, MotoPress Content Editor, etc. just to name a few of the most famous. You can find multi-functional drag and drop website builders incorporated in premium WordPress themes as well as a more simplified version in free themes. They have been growing in popularity since their introduction these past few years. For instance, Visual composer, which was the first ever WordPress plugin for building pages that supports extensions / plugins, was introduced in 2011 and currently is used on more than 500,000+ websites today. It is #1 best selling frontend and backend drag and drop builder. There are also continue newer plugins and themes to consider. 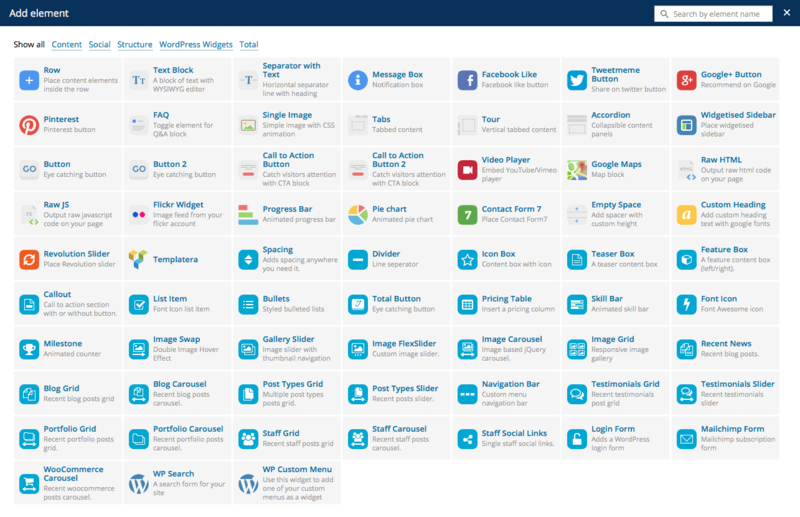 Valley Forge Page Builder was released in November 2015, but has already racked up over 1000 installs and has a nearly perfect 4.9 star rating. Now that we've looked at all the "good stuff", it's time for what goes against this type of plugins and themes. Page builders are powerful tools, and when you give inexperienced website builders these tools, things can go wrong. Website novices can mistakenly make their website overly complex, require users of the site to do much clicking, or most often they might accidentally create a site that is attractive and lacking in design aesthetics. Page builders are particularly controversial within the WordPress developer community. By their very nature, page builders introduce constraints for developers, so it can be frustrating for them to try to work with and around these limits. They can also slow developers down, and are often slower to work with than programming code because of all the required clicking. Finally, as a matter of pride, some developers feel that it's not as "pure" as traditional development and website building, where everything and anything is possible. Some people feel that SEO will be hindered if the plugin or theme generates heavy markup or non-semantic code. And some of these plugins do generate exactly this kind of overly complex code that would be near impossible for a beginner-intermediate WordPress user to debug or simplify. Although you may think that installing just one plug-in wouldn't affect your site speed, it actually could negatively impact your site speed. These "short" codes are also shortcuts for longer, more complex strings of code. More code translates to a greater demand on your web server, resulting in slow website speed, which is bad news for SEO as well. A final downside is that some people can feel "locked in" with page builder plugins and themes. By their nature, they create lots of shortcodes (code shortcuts). Even when you deactivate these plugins, the shortcodes remain behind for you to clean up on each and every single page. No wonder some people feel stuck with the page builder plugins and themes - the required changes seem simply overwhelming! Page builders can be a great solution for a consultant or client that need to build something affordably and efficiently. To hear of Matt's interview with Kim Doyal, the WordPress Chick, and how he came to create Conductor plugin, be sure to tune in here! we'll be seeing more website builders and not less. The solutions that they propose non-coding clients is priceless. They give clients, a chance to have a great look, and a chance to make it their own. As for page builder plugins, he recommends Beaver Builder for freelancers because of its flexibility. Besides that, there's a "recent" player gathering attention with more than 800k active installs worth checking: Elementor Page Builder. Many developers aim to build the leanest and fastest performing websites and attribute these 'advanced layout builders' as hindering that effort. Truth be told these site built this way can still be tremendously fast and enable the engagement with the developer to not be a lifetime sentence but instead enables a website owner to better self-manage a website without constantly hiring an expert developer for everything. New platforms, like Squarespace for example, lean heavily on this benefit of how easy their sites are to build/manage and are still fast and beautiful. In reality, WordPress has this same capability if you learn to embrace these premium themes with quality builders. Technically yes, a WordPress theme built from scratch for performance will be faster than a premium theme that uses a visual composer or advanced layout editor. But most often site speed and performance are determined by other factors such as hosting and image optimization for example. To show this better I ran a speedtest on the Enfold WordPress theme demo site which shows some metrics that are impressive enough to make me not concerned about performance with the theme that utilizes a backend builder. That's a 1.1 second loading time. When deciding to build your theme from scratch or to use a premium builder or theme you need to think about the end user of the site and who will be maintaining it. Often, developers think purely from a developer's point of view and see no need for a layout builder because they can code cleaner without it. But the developer needs to remember it's not always in the client's best interest to always have to request/pay for a developer for making little changes to their new website. For me as a developer, I don't think any client relationship should have to be a lifetime engagement and I like to set my clients free with their new site and come back to me for when I can be used at the highest value for them. This is client centric thinking. Need help with your WordPress website? Hire Raleigh Leslie or any other from ours top-notch WordPress experts. Would you still need a WordPress Developer, then? While some of you might be excited to test all of these new and exciting page builders, don't forget that these are powerful, yet limited tools. There can certainly be a place and time to use page builders, but there's very valid reasons that they haven't become completely ubiquitous and put WordPress developers and designers out of work. Page builders can work as a stand-in for the "real deal" (WordPress developers) and, depending on the website and client needs, sometimes they can do an admirable job at this. However, when you need a professional that can customize your website, create professional designs, provide website maintenance & support, or add new features, you'd want a WordPress developer by your side. For example, in many page builders, frequently requested page elements are missing or not supported. Creating responsive tables (or even just tables), CRM integration, and integrating Google Calendars are all common requests that are not supported on most page builders. These are common requests, so you can write-off less conventional features. Page builders will also not turn you into a designer. While your pages may look great, you won't be able to recreate the same level of the page builder demo pages (unless you invest in a designer or a photographer, like the demo creators most likely did!). There is a reason that WordPress developers and designers are professionals, and do WordPress work for a living. While page builders can provide an easy, quick DIY solution for clients, it would be misguided to think that people can achieve the exact same quality work as working with a professional. Love it or leave it, page builders are here to stay. Due to their quick, easy "drag and drop" convenience, WordPress website builders are powerful tools that provide non-coding website owners with easy solutions to build websites that have elegance, style, and variety. While there exists a plethora of page builder plugins and theme options, developers continue to release new page builders as demand increases. As the number of page builders continue to grow, from the classic and trusted Visual Composer (2011) to newer upstarts like Valley Forge (2015), you'll be sure to find one website builder that fits your needs. But don't forget: none of them provides you with all you should have to address your specific business needs as conveniently as you might have thought in the first place. Now, it's your turn: what's your take on page builders? Have you ever used them? How was your experience with them? If not, why haven't you used them yet? Great article! 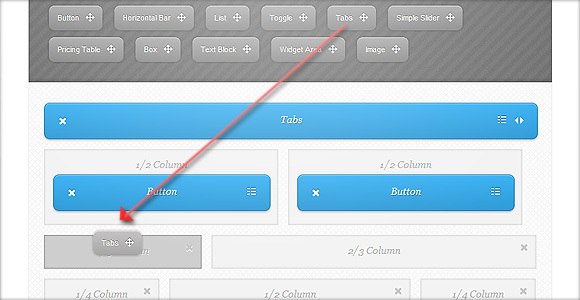 When I use a Pagebuilder I use Themeco’s “Cornerstone” – it is sleak, easy to use and has a great UI. Personally I take a hybrid approach. You want to be able to design good looking sites / pages that a client can edit simple things themselves. They shouldn’t just be limited to the word document style block of text on a page. And after all, the whole point of using a CMS in the first place is to provide an interface where the client can update the site. I still build most clients a theme from scratch (well, I start with http://underscores.me/ ) so I have complete control over the PHP template files, CSS/SCSS, JS, fonts, theme-included resources like images, etc. Then, for the page content specifically I install the free, relatively light-weight, Site Origin Page Builder ( https://siteorigin.com/page-builder/ ). Site Origin’s Page Builder works with any WordPress Widgets as block elements you can drop in, and it can also be expanded upon by creating your own widgets. Most everything you need is included in the Site Origin Widgets Bundle, but there are several third party widget bundles made specifically for use with Site Origin to round out the feature set. Plus it has the ability to download layouts to a JSON file, or copy other pages on the site. Then I’ll record a video for my clients showing them how to log into the WordPress Admin, click on different elements and swap out things like text and images themselves. For the most part, I find it’s better to leave layout and styling to the developer, but if a tech-savvy client wanted to learn how to use the drag & drop interface it’s not hard for them to do and for the most part doesn’t require any coding skills. The end result is a website that I have complete control over, that still loads super fast, that doesn’t piss me off every time I want to override something an over-bloated-everything-theme does, and that the client can still edit however they like within the context of a Page / Post with no coding skills. I 100% agree with you on this. I just came on to WP website project that just needed a refresh. One would tend to think it wouldn’t take too long to re-skin a fairly simple site. When I looked at the theme it had somewhere around 300 files in it. It had a plethora of options. Many of which the client wasn’t even using. The page loads on the backend were horrific and of course, while debugging it, I concluded it was more the theme than VC but still. This was my first glance at VC. On the surface it looked kind of cool but I quickly learned that doing something as simple as creating a div and styling it would take longer than normal. It was nightmare! Oh and I can’t forget when I updated WP. It completely broke the site. I had to downgrade my WP install which took more time. UGH! So I’m on my next gig and wondering, because I too use underscores and would like to use Page Builder. Do these page builders handle the complete page? Header and footer? Or just the content area? Out of the box, the Site Origin Page Builder plugin is really just the stuff between the header and the footer and can be activated for any page / post type. Although, I usually make a custom widgetized footer area and since PageBuilder has a ‘PageBuilder Layout’ widget, which essentially creates a PageBuilder page within a page, I just drop that into the footer and then I can create rows and columns and use any PageBuilder widget inside my footer. The header functionality that comes with Underscores generally works just fine for me, collapsing to an expandable mobile menu and sub-menus displaying upon hovering. I usually manually code the logo image, and position / style everything with CSS from there. Thanks for the input and advice Ron! Much appreciated! I’ve tried many of them often, usually for the reasons cited in “pros” here. Unfortunately it always ends in tears or frustration, and whatever time was saved is lost with interest when you have to recover content from custom post type meta, or other non-standard places. I can see a place for page builders for quick, straightforward, single-purpose sites, including many small businesses or others who would otherwise be using Wix or Squarespace. Unfortunately, when the rubber meets the road, if you have no budget for maintaining a site, Wix and Squarespace may be better tools than WordPress + Page Builder. They’re more stable, commercially interested in your success, and control their own variables. WP’s strengths work against it, if you build a house of cards that relies on a page builder for display. Thanks for the mention on Forge, Kendra! As for the article, I’d like to point out a few things. I have developed Forge from scratch, and have been on both sides of the fence– I used to be anti-page builders years ago. For some rockstar developers, page building might be slower when creating a custom site. If you want to absolutely nail a pixel-perfect layout, then it’s probably better to go custom. But 99% of the time, page builders are faster than programming. With Forge I can deploy an entire, fully-functional landing page in 20 seconds flat. That’s including the time it takes me to create the page. And the page is already optimized for conversions. Also, some page builders are indeed sluggish, while some are not. 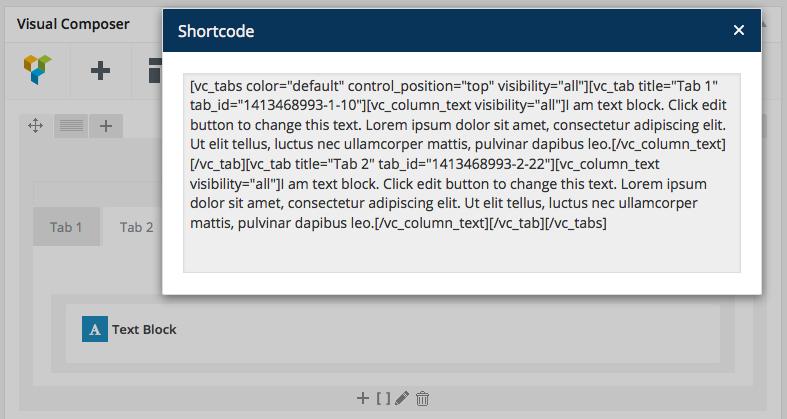 From a development standpoint, Visual Composer IS sluggish because parsing shortcodes is very resource-intensive. But other page builders do not necessarily use shortcodes, (Forge, Beaver Builder, Make…) and are lightning fast. This is also a moot point when you take caching into account. Nope. Not true. Dealing with visual page builders maintaining a site is painful. Lot’s of plugin conflicts down the road, mobile display issues, WP update issues, and don’t even get me started when you need to switch themes. Page builders are the worst thing to happen to WordPress in a long time. Creating designs and functionality inside of the WP CMS editor…pure evil. I realize that my comment is over two years old, but a lot has changed in this space. Website layouts are more complex, Wix/Squarespace have forced WordPress to develop an equivalent in Gutenberg to recapture marketspace, and lean, portable, speedy page builders like Elementor have emerged to be a viable, maintainable and even enjoyable ways to develop websites. I don’t hesitate to recommend Elementor at this point along with a clean base theme. I still refuse to use or recommend Visual Composer. 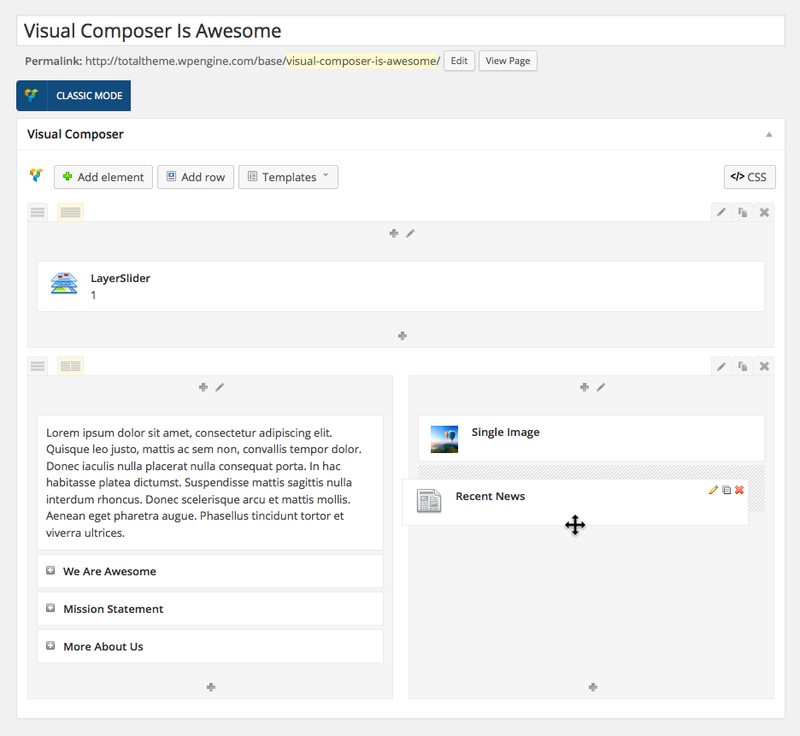 Yeah, I really hate Visual Composer as well. Elementor is way, way superior. Even if the customer insists on using a theme that comes with Visual Composer, I’ll simply convert page layouts to Elementor. Hi Kendra! Thanks so much for mentioning Beaver Builder. I am one of the co-founders. We’re big fans of Codeable. When we shut down our client services business to focus 100% of our time on Beaver Builder, we referred many of our clients here with great success. TBH, this reminds me of the episode of Silicon Valley that I was watching last night. There was a great story line around the tabs/spaces debate. It’s funny the things that we get passionate and argue about, haha. I think Page Builders, like tabs vs. spaces, is definitely one that invokes a lot of passion. It works pretty well, and the sites come out nice. I wish it was a bit better designed and faster though. I don’t like them at all, better coding a theme which will really do everything needed. But as Backend-Developer I can’t avoid that our Front-End Developers and Designers need them as they love them so much because of responsive columns an so on. Here we take Visual Composer the most time, but mainly because we are used to it and know certain things how it reacts. – Sluggish loading: It is the only page builder with instant drag and drop. – Create a “locked-in” feeling for users/developers: It’s open source and actually gives more freedom and less locked in feeling that having to be bound to a theme. – SEO could be hindered: We made the code structure to be very well crafted, great for SEO. It’s totally free, did I mention that? Any plans to stick it into and link it to a github repository? The point of open source is not just “here, have the code”, but to encourage contributions. I don’t see a way to do that. I disagree with the notion that you “feel” stuck once you’ve chosen a page builder. You ARE stuck. WordPress is already locking you in, because it does allow HTML inside the content editor. Page builders take this to another level. In reality most people are already abandoning their previous website and instead create a new one from scratch. I’m worried that we are building a future where large amounts of content becomes inaccessible because we developers cut corners instead of doing it right and lured clients into thinking that they are saving time and money because they can feel as if they can design things themselves. But hey, developers won’t care, because they will be the ones who will get paid for cleaning up the mess they did in the past. “Simplify running and managing a website” LOL This couldn’t be further from the truth. Maintaining page builder based site is very costly & time-consuming. Beyond layout options the page builder provides, extensive css (sometimes js) modification is required. If page builders are so great, how come no major website uses it? Oh, “If not, why haven’t you used them yet?” Because I’ve been there & done that. I don’t use page builder because I am not an idiot like you. What do you do instead? I’m asking seriously, I need to know. Do you design the content of a page and but the finished html inside the WP page editor? I see that you are clueless. I am not saying this to upset you. So please don’t take this personally. Simply telling you the truth. Digging into WordPress by Chris Coyer might be a good starter book for you. WordPress is extremely easy to develop & maintain. But there are some basics you absolutely have to understand. hey thanks for the roundup. what do you think about elementor? it seems to be highly regarded but i can’t find much about it in the way of reviews or comparisons. I call for a more developer friendly layout builder! The builder by SiteOrigin is good and it’s what I normally use but it’s a pain with more complex layouts and mobile responsiveness. The ability to assign custom break-points for each row would be a great start. HTML markup with SiteOrigin is okay. I often develop widgets specifically for a website and keep everything above, below and within the layout builder as minimal as possible. For example, I recently created a super easy to manage slider by assigning a certain ID and class to a row and then initiating OwnCarousel on that row. Worked beautifully and it’s so easy for my client to manage by themselves. The admin UI for SiteOrigin Layout Builder is very minimal and I’ve never experienced significant speed issues. The infamous Visual Composer is a total developer head ache, IMO. I never use it and stay away from websites that do…. I use the enfold theme framework a lot http://www.brightvessel.com/ what I am finding is that we are more and more moving towards a separate mobile build which most page builders add short code. So using the same database has caused issues with displaying short code in a mobile only theme. Very good article Kendra. Thank you. You should update it for 2018 now, given it already ranks so well. these page builders are there for one reason . to lock you for their lifetime, look at the major players, esp elementor , they keep adding feature slowly and making it bloat and big in size. my view is that if you know little coding you should avoid page builders and try to re-create the layout that you wanted. compare the above code, to if you do it on your own with bootstrap or grids with scripts. also good for development company for quick turnaround. Now. i am waiting when elementor will come out with native white label, replace all the above “elementor” term to simple “el” or “custom” etc.